With the help of Bernd and Gregor I was setting up our school-server with Debian-edu and Bernhard was with us too. In very short time the server was up and running and we had enough time to make some littel things work fine. I am happily looking forward the work with our new schoolserver, called Tjener. On Friday I went to Gregor and David and we started a little Debian Install Party. Mostly to reincarnate bender to bender II. After some hardware changes we started and bender II was set up within some hours. As you can imagine, tuning took some hours more and we finished tuning bender II at about 5:30 a.m. Back home I reanimated bender and what: he works as perfect as expected. No problems at all. I am happy to have a desktop PC back again. The spaghetti were good, the night was short and bender ist back again! Thanks to my friends. Today at 6:15 p.m. catman died by injection at the doctor's office. Sad. We buried him in the forest near Obsteig at 7:30 p.m. Here is his last good bye picture. 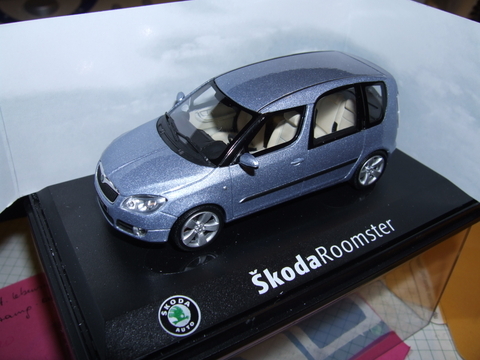 Today was finally the day I got my new car, the Skoda Roomster. It lasted two hours for all: money, papers, instructions and coffee. For the first time in my life I used a tempomat (automatic speed control) and backward parking sensors. Driving with this car is very joyfull! 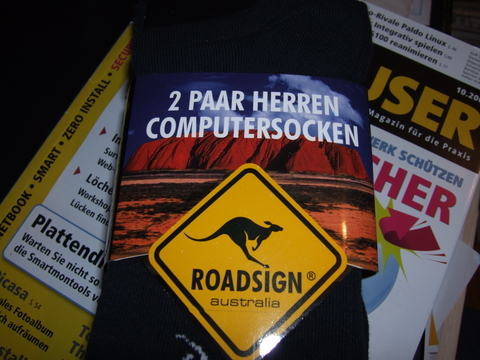 Today I left some papers and money at my car-shop Nagiller in Lans. There I cought a first glimps of my new car, which I will get on wednesday afternoon. I am happily looking forward!